I've been looking forward to this book since I first saw it listed on Amazon. A new cat cozy taking place at a couture pet shop in New Orleans...how fast can I get there??? 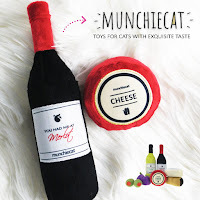 Following a nasty breakup Lacy has opened The Furry Godmother, a pet boutique and organic treat bakery. Even though her parents are well-off she's struggling but getting by thanks to an investment from the local jewelry store owner. Things start going downhill when an unpleasant man visits her shop and gets himself killed there later the same day. The murder weapon? Lacy's glitter gun. She not only finds herself the main suspect, but she's in even bigger trouble when her investor pulls out until the murder is solved. Is the killing tied to a series of recent jewel thefts? Lacy has a lot of work ahead of her to keep her business afloat and her dream alive. I enjoyed the detailed descriptions of Lacy's various creations, both couture and cuisine. The various relationships in her life, from her parents to her romantic interests, promise more intrigue to come. And now that Penelope the cat is back home where she belongs, Lacy has a live-in model for her fabulous feline fashions! 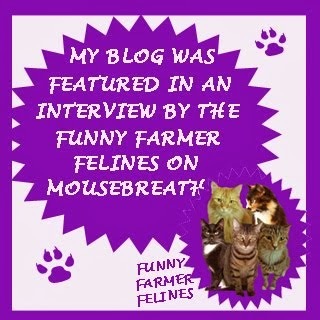 And speaking of Penelope, here's Mudpie's interview with the little ladycat! Mudpie: Welcome Penelope! Thank you so much for chatting with me today. Could you start by telling us a little about yourself and how you came to find a home with Lacy? Penelope: Hi, Mudpie! Thank you for inviting me over! I’m a tabby from Virginia. I was taken from my mother when I was very small and abandoned in the city. I was very scared. And wet. It rained a lot then. Lots of people ran past, splashing me with puddle water. Cars honked at me when I tried to find my mother. Then, a lady stopped. She told me her name was Lacy. She asked me if I was okay and why I was out in the storm. I told her everything, and she took me home. We never found my mother, but Lacy became my best friend. She took care of me until I grew up. Now, I take care of her. Yet for the majority of Cat Got Your Diamonds, you and Lacy are separated by many miles. How did that happen? Lacy and Pete-the-Cheat had a big fight, and Lacy said we were leaving Virginia. She packed our things and cried for three days, then on the morning we were moving, Pete-the-Cheat took me on a long drive. When I got home, Lacy was gone. She’d gotten on the plane without me. For a long time after that, Pete-the-Cheat would call Lacy and tell her to come home to me, but she didn’t. Then, one day, Pete-the-Cheat got a letter that made him really angry. He called Lacy to yell at her, then put me on an airplane the next morning. Lacy was waiting at the end of the ride. Whatever was in that letter must’ve been good! It must be incredibly difficult being the innocent victim in a bad break-up. How have you been able to handle such upheaval in your life? It wasn’t easy, but everyone has a job to do, so I stay busy. For example: While I was trapped in Virginia, I spent my time making sure Pete-the-Cheat knew he’d messed up when he made me miss my plane. I was diligent. I knocked his glasses off the table, overturned his bowls, unraveled his toilet paper and mistook his pillow for my litter box as often as possible. Now that I’m back with Lacy, I take good care of her. I comfort her when she’s sad and keep an eye on Buttercup, my new fish-sister that lives in a tank in our kitchen. Plus, I work at Furry Godmother. Now that you're back home where you belong, are you going to be a model for Lacy's kitty couture? My official title is PFA. Personal Feline Assistant. It’s a very prestigious role. For example: Lacy uses me as a muse to design all her kitty couture, and I model the pieces at her shop where I work. She’s provided a robot vacuum to carry me around. I only have to sit tall and let the shoppers see how fine their cat can look too. 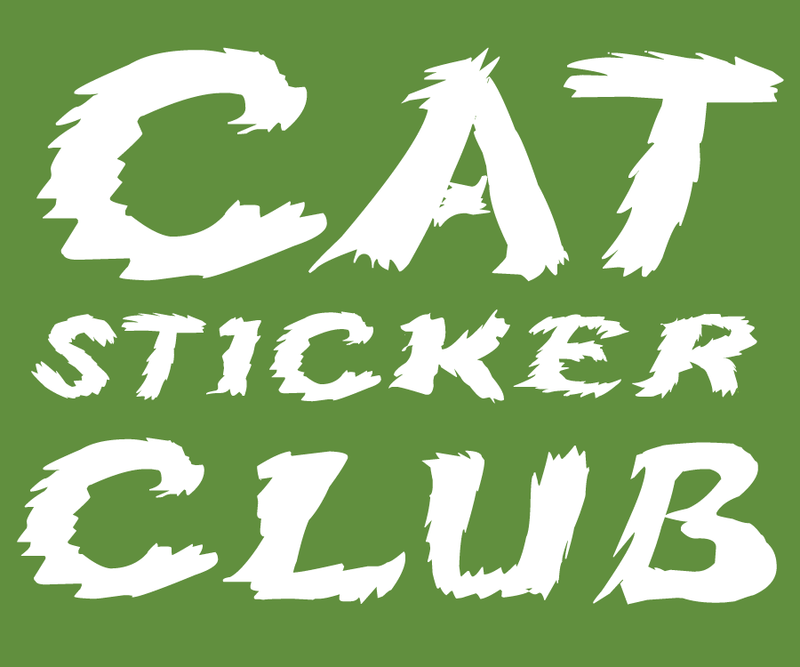 Will you be playing a larger role in the second book in the series, Cat Got Your Cash, due in April 2017? Absolutely. Now that I’ve made it to the Big Easy, Lacy and I are inseparable. 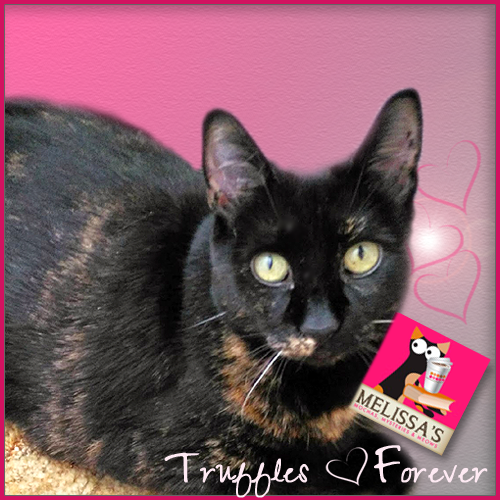 I work with her at Furry Godmother, and ride in my carrier to visit her parents and friends. Lacy and I are a dynamic duo, just like Catman and Robin. 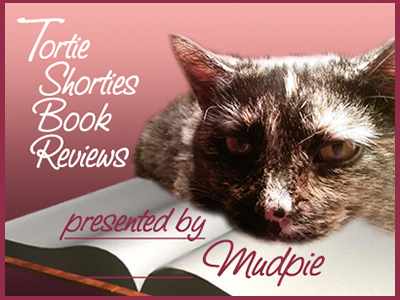 Lastly, would you like to share your favorite cat treat recipe of Lacy's with my readers? Lacy’s the best baker. I love everything from her kitchen. She uses bags and containers from the cupboard and refrigerator that make my mouth water. I even like some of the stuff she makes for herself! 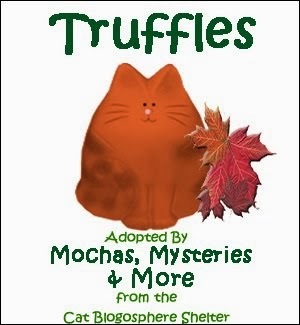 You can find three of her Furry Godmother recipes at the end of each Kitty Couture Mystery, but her Kitty Yum Yums are the best. In fact, I think I sniff her baking some now. Gotta go! About the author: Julie Chase is a mystery-loving pet enthusiast who hopes to make readers smile. She lives in rural Ohio with her husband and three small children. Julie is a member of the International Thriller Writers (ITW) and Sisters in Crime (SinC). She is represented by Jill Marsal of Marsal Lyons Literary Agency. Julie also writes as Julie Anne Lindsey. I enjoyed this book too. Great interview with Penelope! It's nice to learn more about her, since we hardly see her in the first book. Looking forward to the next one! This book sounds like such a fun read. And I love your interview with Penelope, Mudpie! It's good to know that she's back home where she belongs, and can therefore play a larger role in the stories. 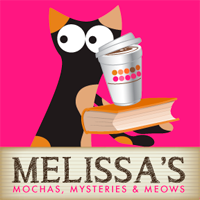 Thank you for sharing yet another great review and interview, Melissa and Mudpie! 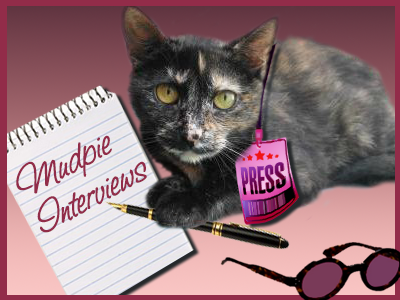 Aww, great interview, Mudpie, and thanks to Mommy for the review. Sounds like this w/b a wonderful, new series. That certainly sounds like a good read. Great review, and so nice to meet the author. Great interview Miss Mudpie. Sounds like a good book. Thanks for the great interview, Mudpie. 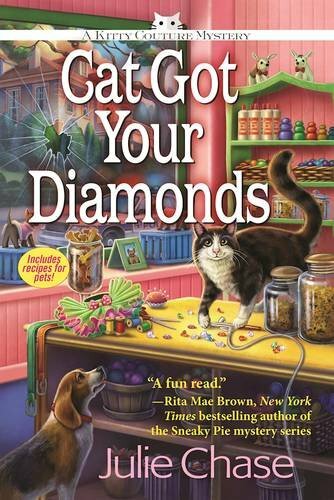 Can't wait to read more about Lacy in "Cat Got Your Diamonds"
Awesome interview Mudpie. The book sounds wonderful can't wait to get a copy or one of her other books. Mysteries and kitties my two favorite things. Love the interview - this book sounds like a fun read.